The legendary Palmilla hotel was originally built in 1956 as an elite hideaway for political figures, international celebrities and Hollywood stars. In 2004, the hotel was renovated and renamed to ³One and Only Palmilla² and was selected as the number one resort in its category by the readers of Conde Nast¹s Traveler in 2004 and 2005. A lush tropical landscape, water features and the sea surround this authentic hacienda-style resort. Additional amenities include tennis courts, fitness center and two large swimming pools. Within this 1,000-acre master golf development, you can find individual family homes, custom home sites, beachfront villas, and luxurious town houses in authentic hacienda and Tuscany style architecture with lush tropical gardens and a well known 27-hole Palmilla signature golf course designed by Jack Nicklaus. The master plan subdivides into several high-end communities. Amongst them are Palmilla Fairways, Caleta and Caleta Loma, Palmilla Norte and Palmilla Sur, Oceano Alta and Baja, Palmilla Canyon, Cove and Estates, Villas de Montana and Villas del Mar. Villas de Oro is a 32.5 acre residential community built alongside the 27-hole Signature Jack Nicklaus Palmilla Golf Course. 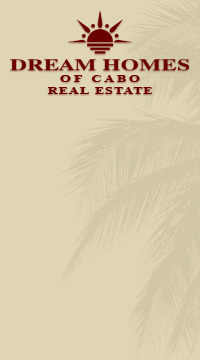 The community is part of the 900-acre guard-gated, beachfront, private community that make up the Palmilla Development. Upon final build-out, Villas de Oro will consist of 200 residential units, including town homes, tennis villas, custom lots, single-family homes, and casitas. Villa amenities include granite counter tops, marble floors, Jacuzzi tubs, stainless steel appliances and more. Owners can enjoy a new village shopping center, the shops of Palmilla within walking distance, fine dining and entertainment, and world-class amenities of the One and Only Palmilla hotel. In the near future, there will be a deluxe, 9,000-square-foot private tennis club offering five lit tennis courts, a sunken auditorium that can accommodate 150 spectators, a retail shop, a resort-style swimming pool, a fitness center and changing rooms. Currently, Villas de Oro is offering luxury residences for purchase in both its Phase III and Phase IV. Floorplans range in size from approximately 2,000 to 3,000 sq. ft., with two- and three-bedroom floor plans offering golf, tennis, and ocean views. All purchases at Villas de Oro include a Palmilla Tennis Club membership. Palmilla golf memberships available to Palmilla homeowners. Prices of the Villas de Oro townhouses start at $495,000 USD. The One and Only Palmilla resort is sprawling along the Sea of Cortez shore line, accommodating 109 guests, ranging from oversized standard rooms to one- and two-bedroom suites. The interiors and exteriors are quite amazing- featuring ocean views, private terraces, large marble bathrooms, double-headed showers, sculptures tub, etc.